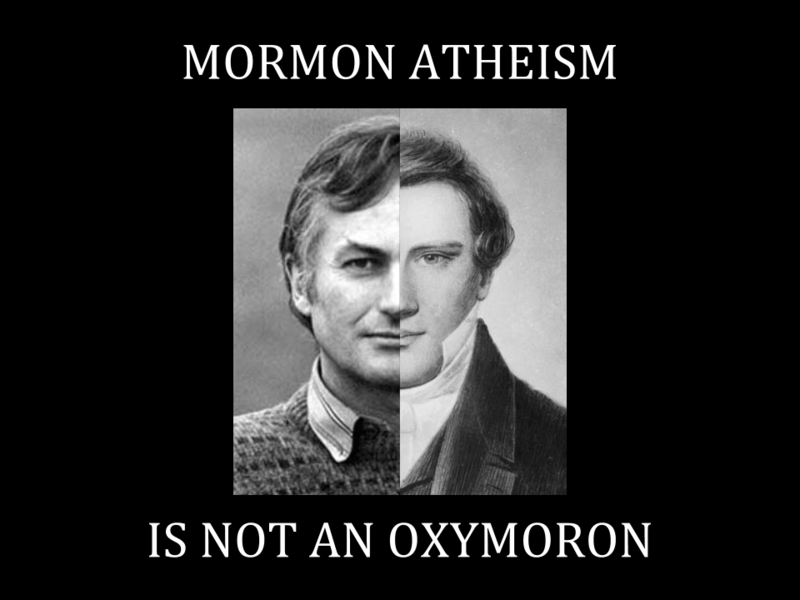 Many who consider the issue of Mormons becoming atheists wonder why they go from Mormonism straight to atheism instead of Christianity, which is assumed to be the next closest religion. 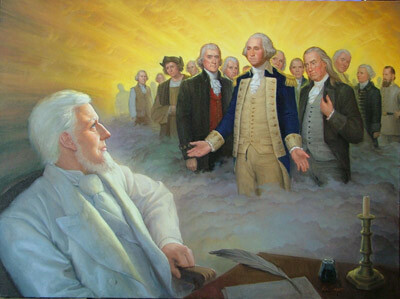 At wheatandtares.com there is an article that claims that Mormonism is not reversible into Christianity 1. Indeed, when considering all the issues here, it seems obvious that the two, despite their supposed relation, are completely at odds. To a significant degree, The Church of Jesus Christ of Latter-day Saints downplays sin, its seriousness, and its power over humans. The LDS Church does effectively help its members out of certain very visible sins and assists its members in avoiding them in the first place. While the LDS Church officially recognizes small sins as undesirable and even something Christ died for, the consistent message received in talks, teachings, and perhaps more importantly Mormon culture, is that small, concealable sins are not important, certainly not in comparison to the big visible sins that are constantly emphasized — sexual impurity, adultery, consumption of harmful or illicit substances, theft, lying, and murder. Thus, when a member leaves the LDS Church, he or she may be convinced that they don’t have any real problem that requires real attention. If there is no problem, then no solution is sought. Christianity and all other religions are unneeded. But it goes further than just that. There is a common phenomenon in religious activity, where some converts coming from one extreme tend to overcorrect to the other extreme: from licentiousness to strictness, or asceticism to hedonism, or from mysticism to rationalism, or religious knowledge to spiritual experience. This is not about the LDS self-serving belief that apostates will become alcoholics, adulterers, or otherwise destroyed and unhappy. Rather, since the LDS Church imposes such an intense and involved program of obedience and dependence on the church for its members to overcome sin and imperfection, ex-Mormons may over correct or overreact by outright refusing their need for anything from any religion. This is not about simply rebelling against human institutions and authority or preserving one’s power of self-determination as discussed earlier. It is something more than just burnout. When ex-members are approached by another religion, institution, or simply the Christian Gospel, they may not only reject it out of distrust but also out of this overcorrection to not need any program, authority or truth to give their assent to or conform their life to. In this way, ex-members have been trained by their church to not take their small sins too seriously and, in overreaction to its intensity, may have a subconscious motivation to continue believing that their sins are not important enough to need any help. So they already believe their little sins are ok, and now they deny a need for religious answers, which irrationally motivates them to continue to think their sins are just harmless mistakes. Again, if you are convinced you do not have a problem, then you do not seek a remedy. And if you do not want any more “help,” you may convince yourself you do not have any need for it. The Church of Jesus Christ of Latter-day Saints teaches self-reliance, both in temporal and spiritual concerns. Members may not agree with that statement, but the LDS Church does teach a significant place for human effort in obtaining the approval and blessings of God in this life and in the next. Our actions and our strength have a necessary place in our worthiness for salvation and eternal blessings. 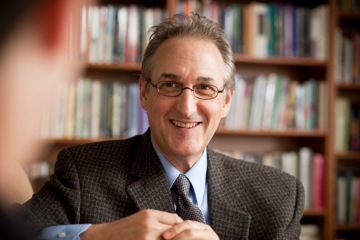 This “picking your self up by your bootstraps” cosmology was described by an online participant as “trusting in the arm of the flesh.”2 The optimistic humanism of Mormonism, its insistence that humans can and must contribute to their worthiness of salvation and exaltation, can easily fit into the humanistic optimism of atheism that humans can and must solve their own problems and continue as a species and progress on this planet and in this universe.3 Along the lines of trusting in the flesh, Latter-day Saints are taught to trust their leaders. When they leave, they have determined that their LDS leaders have betrayed them and are untrustworthy. This may lead the ex-Latter-day Saint to seek the objectivism of science in order to avoid being fooled or dependent on particular humans or institutions. Interestingly, however, if this confidence in humans, in the flesh of man, is not reevaluated, then it may lead them to put their trust in the men of science and the institutions of human reason. 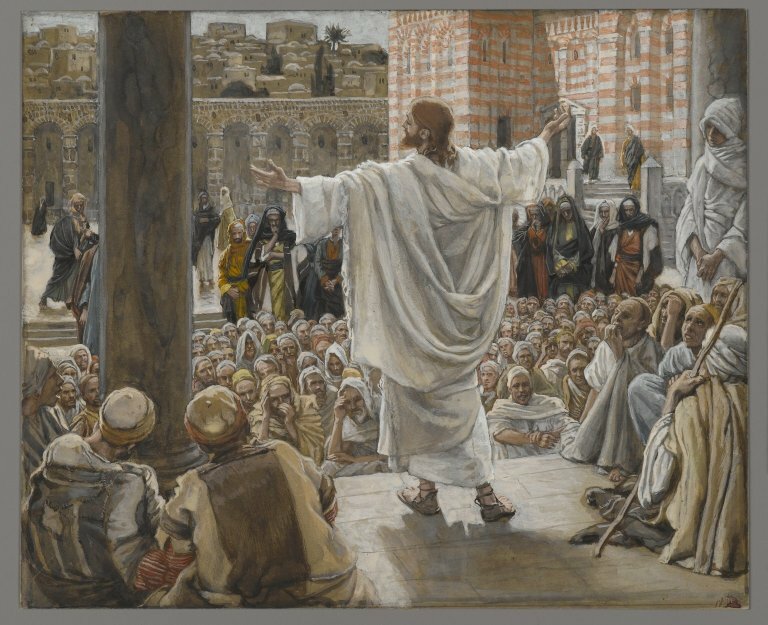 In any case, the LDS-taught optimism about mankind’s ability to progress by its own effort is offended by the Christian Gospel’s diametrically opposite assessment. 1 This article by S. Andrew was one of only a few places I could find expanded discussion of this Mormon atheism topic. The discussion in the comments is also worth reading. 3 There is a Mormon Expression podcast, toward the end of John Larsen’s time hosting it, in which John speaks of how ex-Mormon atheists must move on boldly into the world. His guest makes the observation that John’s view seems to be a return to Mormonism in its optimism about mankind’s self-determination. I could not find it again, but it is worth the search and listening. It is admittedly moving, certainly connected to Mormonism’s optimism and faith in man (or “the flesh”), and explicitly shows Mormonism’s compatibility with atheism. 4 I first read this apt turn of phrase from Aaron Shafovaloff. The Church of Jesus Christ of Latter-day Saints also teaches that God and humans are of the same kind or species. It teaches that God used to be a regular human and that humans can become Gods. 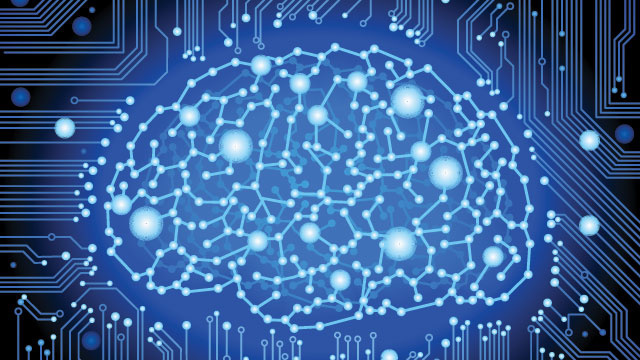 All Gods and humans started as “intelligences,” or fine spirit matter. By an unknown process, this intelligence is embodied in a spirit body provided by a previous God and Goddess’ reproductive activity. The resultant “spirit child” may eventually obtain a physical body, living on a world as a human. The human may, upon dying and an unknown number of millennia in the afterlife, attain “exaltation” and become another God, and the process repeats. In this way, the LDS Church teaches that humans are the highest form of life in the universe and that our development as individuals and the continuation of our posterity is the highest good. This is strongly analogous to the closest thing to purpose in atheism, the development and continuation of species and, the highest form of life, in particular, humankind. The primacy and essentiality of the family in the LDS conception of purpose and eternal happiness does not simply give a sense of idolatry but the “eternal round” of gods making spirit babies, who become humans, who become gods, and repeat endlessly is also a sacralizing of reproduction and genetic continuance. The LDS Church teaches that the glory of God is this eternal increase of his posterity. This increase is also only possible through the most worthy members, those who have overcome the challenges of life and flourished in the LDS gospel of laws and ordinances. One could say that Mormonism is a religion of not only individual evolution from spirit to human to god but also a religion of the exaltation of the fittest. Upon leaving the LDS Church and relinquishing belief in its transcendent dimensions of God and afterlife, ex-members are by default evolutionary atheists whose highest good and reason for what they do is their own happiness, which in its greatest form is found in benefiting and continuing the human race. A scene from the “Stargate” sequence in “2001: A Space Odyssey”. A quarter of a century since, an obscure boy and his few associates, in the western wilds of New York, commenced to hold converse with the dead.” He further stated that, “The Lord has ordained that all the most holy things pertaining to the salvation of the dead, and all the most holy conversations and correspondence with God, angels, and spirits, shall be had only in the sanctuary of His holy Temple on the earth, when prepared for that purpose by His Saints; and shall be received and administered by those who are ordained and sealed unto this power, to hold the keys of the sacred oracles of God.” Thus temple endowed Latter-day Saints, “By one holding the keys of the oracles of God, [act] as a medium through which the living can hear from the dead. “There was a certain rich man who was clothed in purple and fine linen and fared sumptuously every day. But there was a certain beggar named Lazarus, full of sores, who was laid at his gate, desiring to be fed with the crumbs which fell from the rich man’s table. Moreover the dogs came and licked his sores. So it was that the beggar died, and was carried by the angels to Abraham’s bosom. The rich man also died and was buried. And being in torments in Hades, he lifted up his eyes and saw Abraham afar off, and Lazarus in his bosom. Again, please notice these words, “there is a great gulf fixed, so that those who want to pass from here to you cannot, nor can those from there pass to us.” So the Bible explicitly states that there’s a gulf that the living can’t cross to get to the dead, or those in hell can’t pass to get to those in heaven (and vice versa). That pretty much precludes any notions of the dead being guardian angels for the living or the dead being able to communicate with the living in Mormon Temples or anywhere else doesn’t it? Angels are created beings. They are an entirely separate type of creature from humans. People do not become angels after death, and angels do not become human. They are as different from us as we are from the animals. Angels are intelligent beings (Matthew 8:29; 2 Corinthians 11:3; 1 Peter 1:12), they are emotional beings (Luke 2:13; James 2:19; Revelation 12:17), and each has an individual personality and will (Luke 8:28-31; 2 Timothy 2:26; Jude 6). Angels are spirit beings (Hebrews 1:14) and do not have physical bodies. While the belief in angels is not unique to the Christian faith, Mormonism drastically differs from orthodox doctrine by espousing the concept that humans have the capability to end up as angels. Certainly Mormonism cannot be credited with originating this erroneous concept. This “human to angel” idea has long been a part of the folklore of many countries. Upon the loss of a loved one, how many children have been comforted by well-meaning people who have said this particular loved one “is an angel now”? In his epistle to the church at Colosse, the Apostle Paul expounds the fact that it was through Christ that all things were created by Him and for Him (2:15). These include what Paul refers to as ‘principalities.’ W.E. Vine notes that the word translated principality in the KJV ‘is used of supramundane beings who exercise rule, called principalities.’ He states that this word can denote holy angels or evil angels. (An Expository Dictionary of New Testament Words, 1966, pg. 213). As with many other doctrines unique to Mormonism, there is no biblical justification for the claim that angels were once humans. So If I’m Not Contacting the Dead What Are They? Necromancy is defined as the conjuring of the spirits of the dead for purposes of magically revealing the future or influencing the course of events. 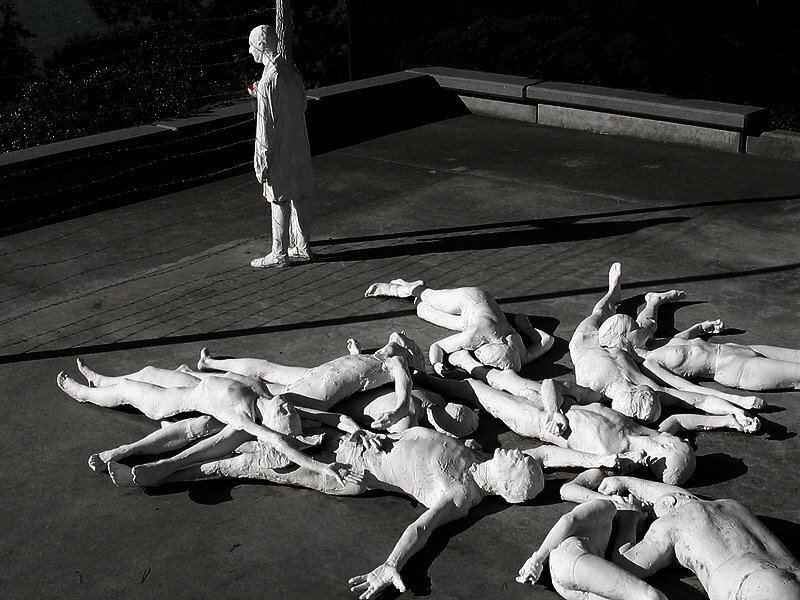 In the Bible, necromancy is also called ‘divination,’ ‘sorcery’ and ‘spiritism’ and is forbidden many times in Scripture (Leviticus 19:26; Deuteronomy 18:10; Galatians 5:19-20; Acts 19:19) as an abomination to God. It is something that the Lord speaks very strongly against and is to be avoided as much as any evil. The reason for this is twofold. First, necromancy is going to involve demons and opens the one who practices it to demonic attack. Satan and his demons seek to destroy us, not to impart to us truth or wisdom. We are told that our “enemy the devil prowls around like a roaring lion looking for someone to devour” (1 Peter 5:8). Second, necromancy does not rely on the Lord for information, the Lord who promises to freely give wisdom to all who ask for it (James 1:5). This is especially telling because the Lord always wants to lead us to truth and life, but demons always want to lead us to lies and serious damage. Still Stinging From the Shock? The prevalence of necromancy in Mormonism is quite astonishing and can be seen in everything Mormons do. From Joseph Smith and the average Mormon talking to dead people to the Mormon temple endowment ceremonies; there’s always something you can spend countless hours researching. People who have died are very important to members of the Mormon Church. The dead are a very important aspect of the Mormon gospel. Because the dead are such an integral part of Mormonism, it makes sense that Mormon children would be taught about the Church’s doctrine of baptism for the dead. God says communication with the dead is a sin, yet Mormonism teaches little children to welcome necromantic contact, be inspired by it, and interpret it as God’s direction and/or approval of proxy ordinance work for the dead. Does anyone else find this troubling? Grieve With Those Who Grieve – But Be Wise! Finally, and given all this, I would encourage the reader always be patient and sympathetic to people who grieve. Often people who are grieving will have dreams, maybe even some emotionally driven experiences, that are just normal psychological processing that’s rooted in the physiology of the brain. This is normal human biology and psychology, nothing more. For example, a friend’s mother claimed to have had a posthumous visitation by a cat she loved, and then a vivid, reassuring dream about her mother while she was still grieving their demise. She interpreted these incidents as being miraculous or supernatural in nature. But were they? What does the Bible say? Speaking personally, each time after I lost a parent I dreamed about them repeatedly when I was early into the grieving process and still working through my loss. Sometimes they would talk to me and comfort me in those dreams. Other times I felt like I could feel them watching over me with love during times of stress and sadness. This wasn’t demonic activity, this was just my mind and emotions coming to grips with a major, emotional jolt and sudden life change. I know this now but in the overheated emotion of the moment, it was easy to think otherwise. So one shouldn’t jump at the notion of demons when they have or hear of these experiences. Whether it’s a demon is neither here nor there – that’s not why the experience has such meaning and pull for the person who’s had it. The reason the experiences seem so striking is due to their grief and pain. What in normal circumstances would be dismissed due to stress or fatigue in a state of intense emotional pain can easily be interpreted as something it’s not. And that’s why we have to work through without swinging the pendulum too far to either the “God told me” or “I’m being harassed by demons” extreme during those seasons. 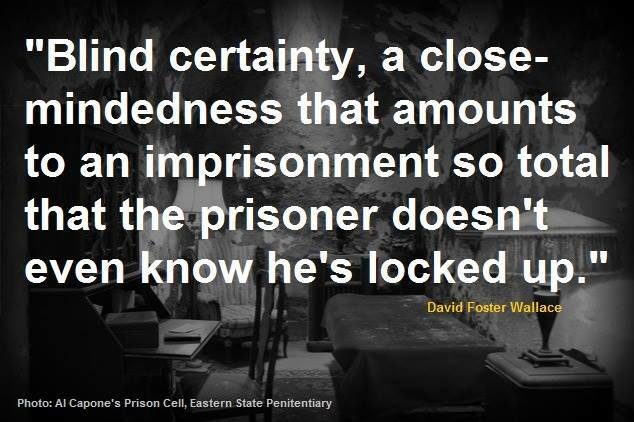 The important thing is to resist being fooled by these psychologically induced experiences. They are bittersweet and fleeting. This article was just a short primer on this subject. The Life After website has compiled a series of articles that covers this subject in depth. It is highly recommended for those who would like to learn more about this important subject. Click here for the portal page for these articles. The LdS Church got in trouble with the worldwide Jewish community for vicariously proxy baptizing victims of the holocaust . The first [ghost story] is about two friends, Brigitte and Carla. Brigitte and Carla met in the third grade in Europe. Carla had just been baptized and wanted everyone to know she was a member of the “only true church.” Some of Carla’s classmates made fun of her for saying this, but Brigitte became her friend. Brigitte’s family was active in their own church, but they were respectful of other religions. Brigitte even went to Church activities with Carla a few times. Brigitte and Carla remained friends all through their school years. Then, at seventeen years of age, Brigitte died. Two months later Carla awoke in the night to see Brigitte standing at the foot of her bed. She did not speak, and Carla wondered why she had appeared to her. The following year Brigitte visited Carla again, and she came a third time the next year. Carla later moved to the United States and was married in the Salt Lake Temple. After Carla had been through the temple, Brigitte appeared to her more often. Then, a week before Carla and her husband were planning to go to the temple again, Brigitte appeared to Carla three nights in a row. On the third night Carla woke her husband and told him about Brigitte’s visits. They both felt Brigitte had been taught the gospel plan in the spirit world and had accepted it. Now she wanted to be baptized. Carla and her husband prayed and asked the Lord how to obtain the necessary records. They were inspired to contact a researcher and were able to get Brigitte’s death certificate. Carla was now able to send in Brigitte’s name to the temple so her temple work, including baptism, could be done. Brother J. Hatten Carpenter, who served as a recorder in the Manti Temple, told of a patriarch who was watching baptisms for the dead being performed in the temple one day. As time went on, the patriarch noticed that some of the spirits looked very sad. He realized that the people in the temple were finished with baptisms for the day. The unhappy spirits were those whose baptisms would not be performed that day. APPENDIX: What About Elijah and Mose on the Mount of Transfiguration and Samuel Appearing to King Saul and the Witch of Endor? “Now it came to pass, about eight days after these sayings, that He took Peter, John, and James and went up on the mountain to pray. As He prayed, the appearance of His face was altered, and His robe became white and glistening. And behold, two men talked with Him, who were Moses and Elijah, who appeared in glory and spoke of His decease which He was about to accomplish at Jerusalem. But Peter and those with him were heavy with sleep; and when they were fully awake, they saw His glory and the two men who stood with Him. Then it happened, as they were parting from Him, that Peter said to Jesus, “Master, it is good for us to be here; and let us make three tabernacles: one for You, one for Moses, and one for Elijah”—not knowing what he said. Of course, the emphasis in this passage is on Moses (representing the Old Testament Law) and Elijah (representing the Old Testament Prophets) endorsing and encouraging Christ’s earthly ministry not the how’s and why’s of how they came to be there. The text just gives us a lot of information on the latter, however, there are several possible explanations that we consider here. The first possible explanation I would offer is, to my way of thinking, the easiest. It’s God’s chasm, if He wants to send or carry dead folks across it He can. However, this would be the rare exception, not the rule. This is hinted at in the Luke 16:19-31 passage which we covered at the beginning of this article: Notice that nowhere in the text does it state that God can’t make an exception, it just says that He didn’t. To make sense of this, we must first understand two important principles. The first is that, while the general resurrection of God’s people will happen at the end of time, there have been individual resurrections recorded in the Bible. Christ’s resurrection, for instance, was not part of the general one. Neither were those of the saints who came forth from the grave after Christ’s resurrection (see Matthew 27:52, 53). The prophets Elijah and Elisha both performed resurrections during their ministries (see 1 Kings 17:17–22 and 2 Kings 4:32–35). Individual resurrections throughout history do not invalidate the general resurrection when Christ returns. The second principle to understand is that some people have left the earth without dying, and therefore are not in need of a resurrection. Moses and Elijah each fit one of these two categories. 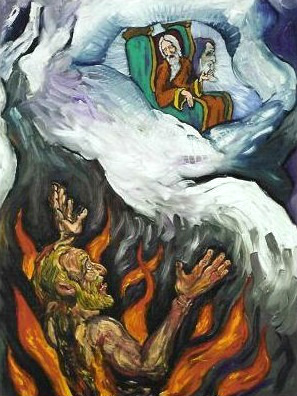 The story recorded in 2 Kings 2 tells us unmistakably that Elijah was taken to heaven without first dying. Verse 11, specifically, says he was caught in a heavenly whirlwind and taken to heaven in sight of Elisha, his successor. Appearing with Christ at the transfiguration would not have posed a problem for Elijah; he had already spent much time with Jesus in heaven before His human birth in Bethlehem. Moses, on the other hand, died in the wilderness before the Israelite people entered into the Promised Land. The story of his death, as recorded in Deuteronomy 34:5, 6, reveals something extraordinary. The Bible says that God Himself buried Moses, and that none of the Israelites were ever aware of his gravesite. This is the first biblical hint that something special awaited Moses after death. The New Testament, however, gives us more information. In Jude 9, we’re told that the archangel Michael contended with Satan over the body of Moses. In other words, Satan claimed Moses as his own, worthy of death just like everyone else. Michael, however, thought differently. As the archangel, He has the power to resurrect God’s people. (See 1 Thessalonians 4:16; the voice of the archangel raises the dead in Christ at Christ’s return.) Moses was not meant to stay dead. Indeed, he was resurrected from the dead and has been living in heaven since that time. Truly, he has already experienced life after death. Therefore, the presence of Moses and Elijah at the transfiguration does not answer the question “What is death?” because neither one was dead! Elijah never tasted death at all, and Moses was given a new life at his resurrection, just like Christ’s people will receive at His return. 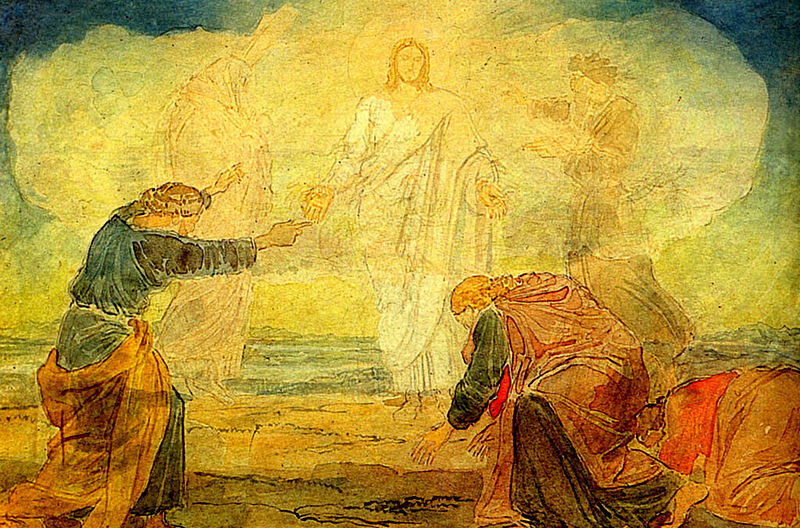 While the transfiguration doesn’t directly give us information on the state of the dead, it retains theological significance nonetheless. When Peter recounted his experience in 2 Peter 1:16–18, he writes that he witnessed Christ’s coming at that time. In other words, he understood the experience to represent the return of Jesus Christ. 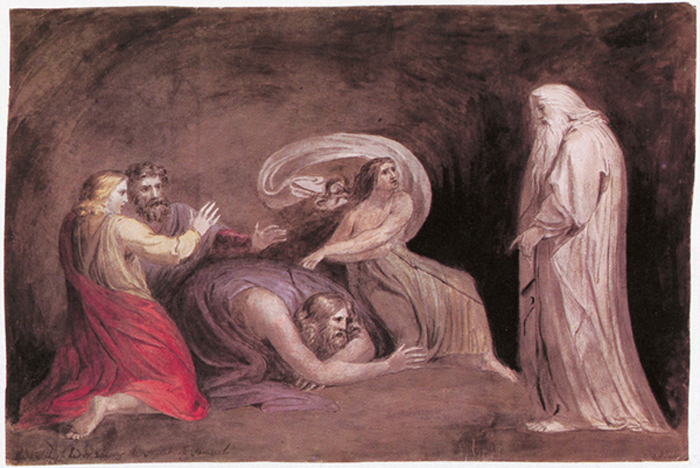 Moses and Elijah represent the two classes of God’s people who will be present at that miraculous event: Moses represents the “dead in Christ” who rise to new life, and Elijah represents “those who are alive and remain” who will be translated to heaven and eternal life without ever experiencing death in the first place (1 Thessalonians 4:16). 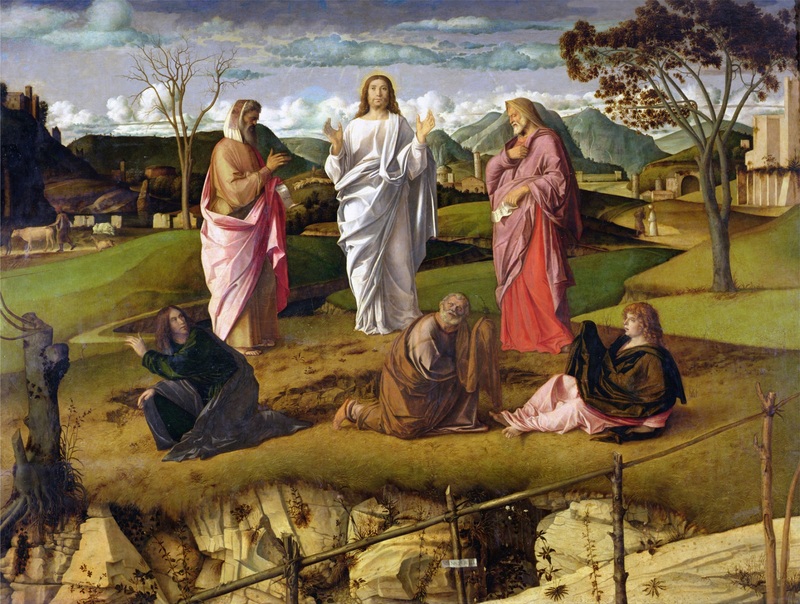 Understanding that the transfiguration is a representation of the second coming of Christ also helps us understand Christ’s promise that “some standing here … shall not taste death till they see the kingdom of God,” spoken a few days before the transfiguration (Luke 9:27). Then the Philistines gathered together, and came and encamped at Shunem. So Saul gathered all Israel together, and they encamped at Gilboa. When Saul saw the army of the Philistines, he was afraid, and his heart trembled greatly. And when Saul inquired of the Lord, the Lord did not answer him, either by dreams or by Urim or by the prophets. Immediately Saul fell full length on the ground, and was dreadfully afraid because of the words of Samuel. And there was no strength in him, for he had eaten no food all day or all night. So his servants, together with the woman, urged him; and he heeded their voice. Then he arose from the ground and sat on the bed. Now the woman had a fatted calf in the house, and she hastened to kill it. And she took flour and kneaded it, and baked unleavened bread from it. So she brought it before Saul and his servants, and they ate. Then they rose and went away that night. Clearly, in this case, the third option (he wasn’t dead) won’t work since the Bible is clear that Samuel was dead and buried. And while it is possible that God allowed an exception here and let Samuel cross the chasm, the circumstances surrounding the event would seem to discount this option since God would be endorsing a practice that He calls an abomination elsewhere in the Bible. For that matter, that would preclude the second possibility that Samuel appeared as a spiritual vision sent from God. In the end, there’s really only one possibility left: The “Samuel” that appeared to King Saul was a demon mimicking the appear of Samuel and appearing specifically to deceive Saul. Support for this can be found in the familiarity that the Witch of Endor has with this “Samuel”. In fact, this event follows the typical template for seances and other forms of necromancy doesn’t it? This lends further support for the idea that what the Witch of Endor conjured up was a deceiving spirit manifesting itself physically. So when considered in that light, this story mirrors and echoes many of the Mormon communion with the dead stories that one hears in Mormon cultures doesn’t it? In the end, the biblical story of Samuel appearing to King Saul and the Witch of Endor is a cautionary tale to us. If you read on, things didn’t end well for King Saul, this incident most certainly didn’t result in a happy ending. In fact, most stories of necromancy don’t. In 1980 ordained Lutheran minister, Robert N. Hullinger published an award-winning analysis of Joseph Smith. He approached Joseph Smith and the Book of Mormon skeptically, but the same time, as he explained in this thought-provoking re-evaluation of early Mormonism, “I prefer to put the best construction on Joseph Smith and let his expressed motives speak for themselves, then draw conclusions from the evidence. This approach may not always rule out a negative opinion of Joseph Smith, but it allows for a more charitable estimate of his intentions.”1 His conclusion? 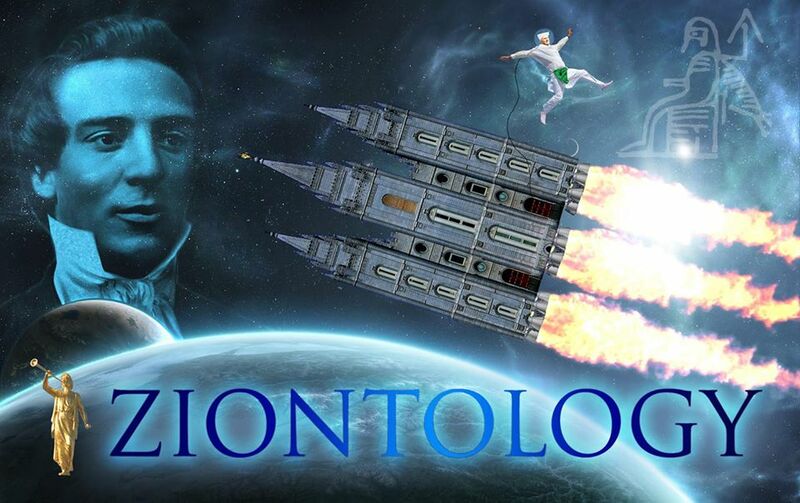 Mormonism is the wonder of this world, and the great leveling machine of creeds, constitutions, kingdoms, countries, divisions, notions, notorieties and novelties; and praise it, talk about it, lie about it, exalt it, degrade it, blow at it, sneer at it, fear it, love it, hate it, persecute it, or laugh at it, still it is Mormonism, true as heaven, powerful as Jesus, eternal as element, going on conquering and to conquer. Fifteen hundred years of church history had encrusted revelation with the weight of tradition and institutional inertia. In spite of Protestant efforts to let God speak through the Bible, some perceived him as more remote than ever. Deism rejected special revelation but accepted a remote god who could communicate through nature. Orthodoxy reacted by developing its science of textual criticism and relying on its doctrine of biblical inspiration to assure contact with God. Catholicism guaranteed the institution as the assurance. Pietism looked within the human heart. LDS Thesis #23: It [the LdS Church] allows members to privately believe whatever they want – even if it’s atheistic or contradicts LDS orthodoxy – as long as they publicly “toe the party line” and continue to contribute their time and money to the LDS Church. In fact, this particular thesis was written by a former member of the LDS Church who was called to teach the Elders Quorum in his ward even though the Bishop knew that he was an atheist. He was bright, articulate, personable, tithing, active, a successfully former Gospel Doctrine teacher, and was toeing the party line in public, so as far as this Bishop was concerned all was well. Since then we have heard of several other such situations in a variety of callings in the LdS Church. 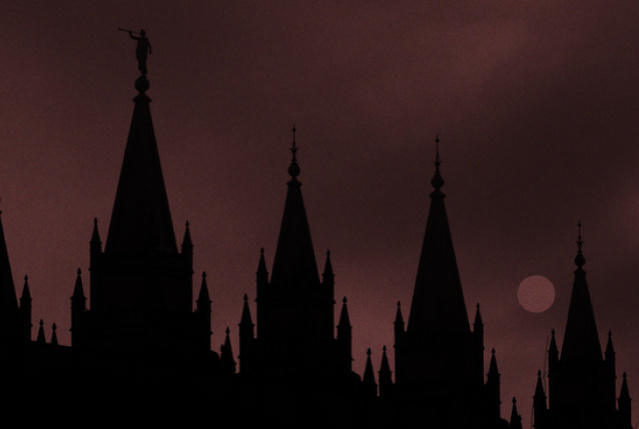 As strange as it seems, a membership heavily peppered with atheists doesn’t seem to be a problem for many Mormon Leaders. Stated plainly, Mormonism has no theological boundaries. So why is this a problem for Ex-Mormons transitioning out of the LdS Church and into mainstream Christianity? Simple: Because they’re not aware of this dynamic they often view attempts to conform their beliefs to established Christian orthodoxy as “legalism” or “oppression”. As soon as they bump into the wall of Christian orthodoxy their “inner Joseph Smith” manifests itself. On a personal level, boundaries determine where you end and others begin. In a group, or sociological, context they determine where the group begins and ends. So, for example, one can’t reject the doctrine of the Trinity and still claim to be a Christian. That’s because the doctrine creates a safe, well-defined area between pagan polytheism (such as Mormon tritheism), and heresy (such as modalism). The doctrine creates a healthy boundary that determines who’s in the group and who’s out. 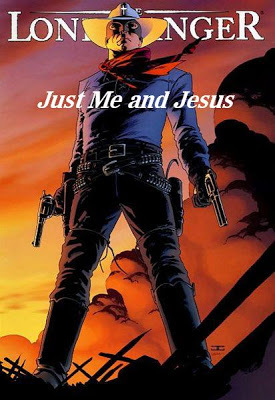 The Lone Ranger Christian credo. Boundaries enable us to remain humble and teachable because they give us the self-confidence and internal assurance that we can listen and learn to know that in the end, we will only let what we want inside our fence. And because in the end we alone are the gatekeeper, there’s no point in engaging in rude, childish rebellion. That’s because if someone tries to control us we can end the control by simply shutting the gate. Thus we can be in a group without being dominated by it. If the group becomes too much of a problem, the solution is easy: Just walk away. The key word here is “balance”. Health requires quiet, steady moderation rather than bombastic, erratic skewing from extreme to extreme. So if you find yourself always on the outline looking in then you know that you’ve gone overboard with the “walking away” thing. If, on the other hand, you find yourself angry, frustrated, and unable to find your own voice then you probably haven’t walked away enough. And finally, it should be noted that healthy boundaries mean that we don’t tell others what they’re going to do (that’s control), it means that we tell others what we’re going to. Bringing it back around, it was selfish, arrogant, irrational, and unbiblical of Joseph Smith to think that he could just discard 1,900-plus years of Christian orthodoxy and reinvent Christianity on his own from scratch wasn’t it? So how is it any different for an Ex-Mormon who does the same thing today? Respecting Christianity’s boundaries isn’t legalism or being oppressed by overbearing, controlling, and legalistic religionists, it’s just good old-fashioned common sense. More than that, it’s biblical, isn’t it? Consider for a moment what would have happened if Joseph Smith had heeded this advice and would have had a humble, teachable spirit guarding by healthy boundaries – instead of having to be the lead rebel in rogue’s gallery of religious rebels? I suspect that he would have had the “knots” in his bad theology worked out over time, he would have found his place in a good 19th Century church and would have lived a long, healthy, and happy life. Instead, he left us with the aftermath of a religious rebellion that has destroyed countless families and lives. 1 Samuel 15:23 (NKJV) says that, “rebellion is as the sin of witchcraft, and stubbornness is as iniquity and idolatry.” In the end that’s really what we’re talking about here isn’t it? 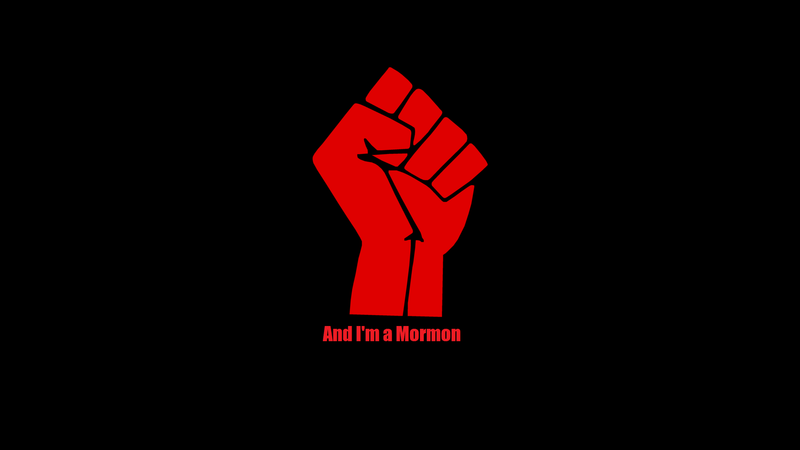 The spirit of Mormonism is the spirit of rebellion. 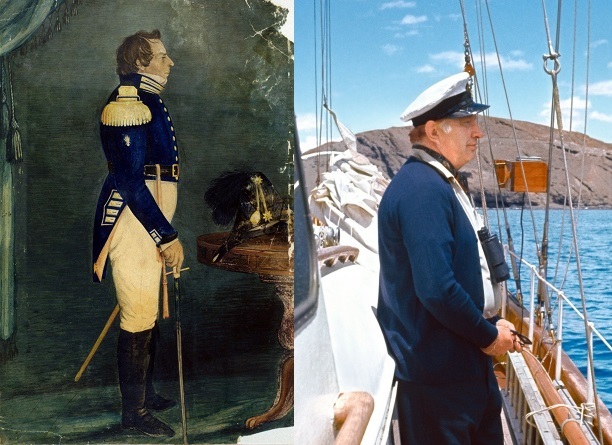 And Mormon style rebellion has consequences. 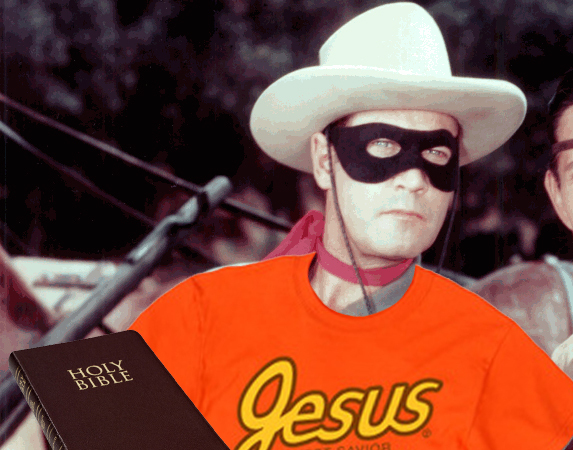 My dear transitioning Mormon friend, after watching Lone Ranger Ex-Mormon after Lone Ranger Ex-Mormon “crash, boom, bang” due to theological rebellion, I don’t recommend it. No matter how tempting, this ISN’T the solution. 4 My intention here isn’t to start a debate or dogmatize the doctrine of the Trinity, merely to use to it as an example of a legitimate Christian theological boundary. If the reader is interested in a good resource that explains the doctrine of the Trinity from the Bible I recommend Rob Bowman’s excellent web series, “The Biblical Basis of the Doctrine of the Trinity: An Outline Study”. 5 In my opinion, one of the best things that every Ex-Mormon can do is learn Christian Church History. Not only does this help expose and purge the propaganda style revisionist history that Mormons are taught in the LdS Church, it helps the transitioning Mormon understand how and why these theological boundaries exist at all. A good resource here is Dr. Bruce L. Shelley’s classic work, “Church History in Plain Language”. “I would recommend that you try to find a church that’s in the Wesleyan/Methodist tradition. I make this recommendation because the Mormon Chapel liturgy was “borrowed” from the 19th Century Methodist church. Specifically, that means finding and attending a Methodist, Nazarene, Wesleyan, or Holiness church. And I would recommend that you stick with the “Traditional” (rather than the “Contemporary”) service as it’s closest to the 19th Century style liturgy that you’re familiar with in the Mormon Church. …postmodernism is relativism. Postmodernism is a reaction against the logical truth structures of modern thought that gave us absolute propositions about nature, time, space, mathematics, knowability, repeatability of experimentation, predictability, etc. 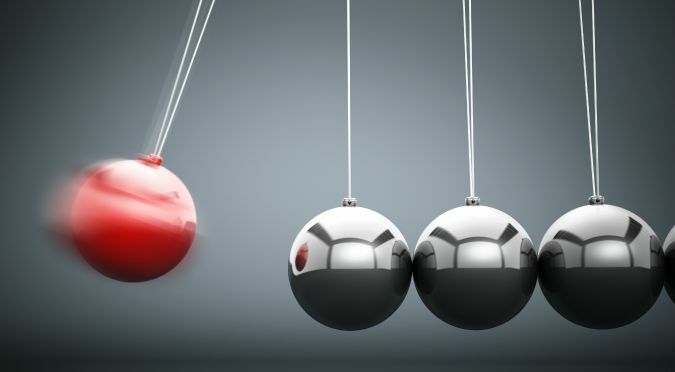 As modernism developed the sciences, technology, and medicine, it has helped to produce a comfortable and predictable society–wherein people tend to become complacent, comfortable, and predictable. But there are always people who ask questions rather than blindly follow the status quo. They look for different ways of expression, different interpretations of truth, teach the idea that truth is not necessarily absolute and that reality can be reinterpreted. 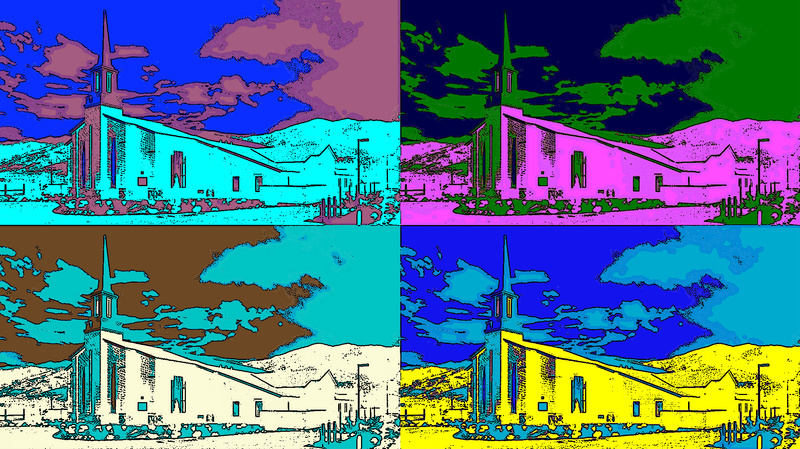 It is within the postmodern context that the Emerging Churches are seeking to work. It is a difficult venture to try to reach the hearts and minds of those who are less open to absolutes than previous generations. So, instead of absolute truth propositions, Emerging Churches tend to focus on relationships, expressiveness, and new ways of trying to reach God. Is it good? Yes and no. It is good only so far as it is consistent with Scripture. It is bad whenever it deviates from it. The key difference here is the reality of boundary maintenance that biblical absolutes and 2,000-plus years of doctrinal refinement provide. Further, theological rebellion typically isn’t enculturated into the membership, reinforced by leaders, and at the root of the entire theological system as it is in Mormonism. Stated plainly, if you take away theological rebellion then Mormonism is no longer Mormonism. Add theological rebellion to mainstream Christianity and it is no longer Christian. However, there are still glaring exceptions – especially in the case of theological liberal churches and denominations. 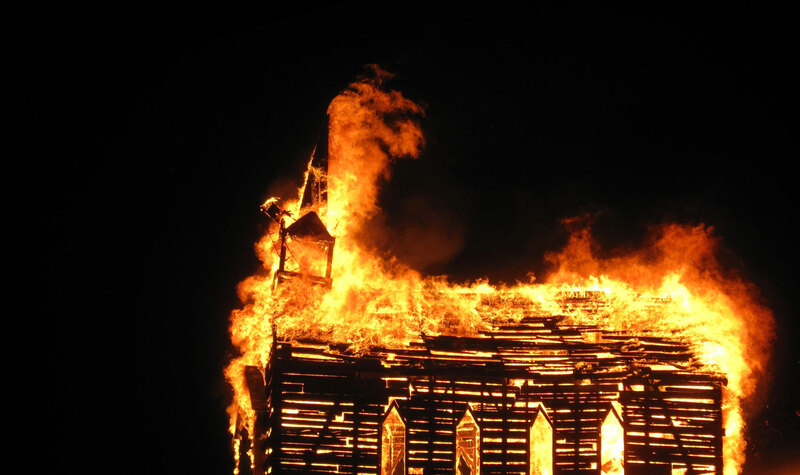 In those cases, you will notice that many Biblical Christians are just as quick to denounce these theologically rebellious churches and denominations as they are errant individuals. There’s no double standard here, the rules apply equally to Mormon, Ex-Mormon and Christian alike. Recently an article entitled “21 Reasons it Doesn’t Matter if the Church is True” came out of a popular Mormon website. It lists several reasons, regardless of the truth, that someone might want to be a member of The Church of Jesus Christ of Latter-day Saints. In my opinion, this is mind boggling. The primary reason to join the church, one would think, would be because it is true. While I was serving my mission in Anaheim, California I never told people they should join because we have great casseroles or a famous choir. You know why? Because if the LDS Church is false, none of those things matter! 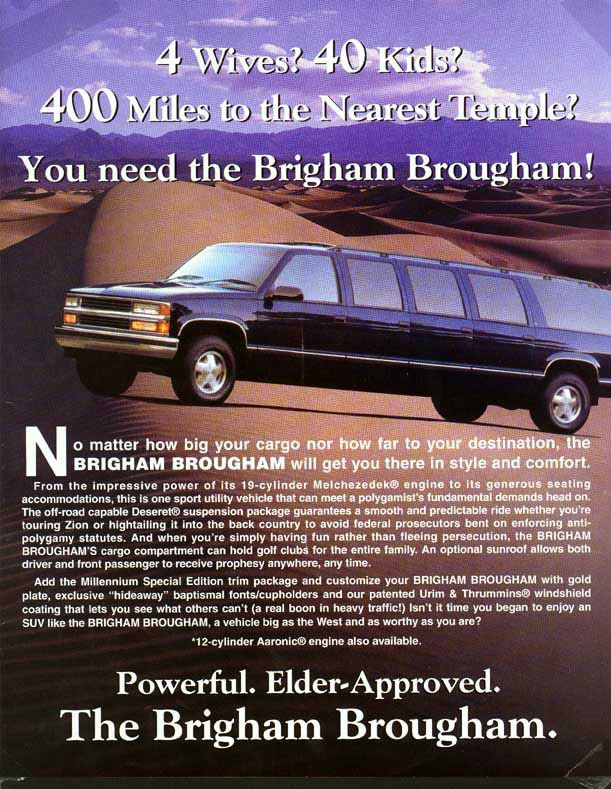 If Mormonism is not true, it is a fraudulent version of Christianity and an enormous sham. So without further ado, here is my list of 21 reasons leaving the Mormon Church might be a great idea, even if it is true. It takes 20% longer to get ready for Mormon church…. maybe. Probably. Especially when you factor in all the kids. And really, who wants to be sitting in church with a tie that’s choking you to death the whole time and those starchy, formal clothes? Maybe God doesn’t care what we look like on the outside as much as he looks on the heart. Who wants to be spoken to in thees and thous? Someone who’s not very personable, that’s who. In LDS Church literature about prayer, it is often explained that thees and thous are used in prayer because they used to be informal. Well, guess what people? Not anymore! Get with the times! Are you seeing a trend yet? LDS testimonies have so many restrictions on them, that they’ve lost all potency. No “storymonies”, no travelogues, no confessions, etc. This has been done to stop the crazies from going up to the pulpit and wasting hours of our time, but wouldn’t you know it, they go up anyways! And they ignore the restrictions! Last time I attended fast and testimony meeting, a crazy lady got up and shared story after story about nothing at all. The alternative, of course, is the standard, “I know the Church is true, I know Joseph was a prophet, that the Book of Mormon is true, and Jesus is the Christ.” If you think these were the testimonies that defeated the armies of Satan, you’re kidding yourself! The very fact that they have a hymn praising Joseph Smith (that they sing on a semi-regular basis) is reason to leave. Especially when you consider that God (allegedly) said in Doctrine and Covenants 25:12 that the song of the righteous is a prayer to Him. Thus, the opening hymn is actually a prayer, and when we sing about Joseph Smith, the opportunity to pray to God is sacrificed. You read that correctly, three hours of Church. By hour 2.5, are we really still getting spiritually fed? Really? If you’re unlucky enough to be in leadership in the LDS church, you’re required to go to extra meetings aside from the three hours of church on Sunday. When I was a Ward Mission Leader, I had to attend Ward Council (at 6:30 am, I might add) and I had to conduct a missionary meeting on Thursday evenings. I’ve had meetings go for hours as well, and all this detracts from time with family, and God. I remember once trying to start a soccer league in the ward on Saturday mornings. 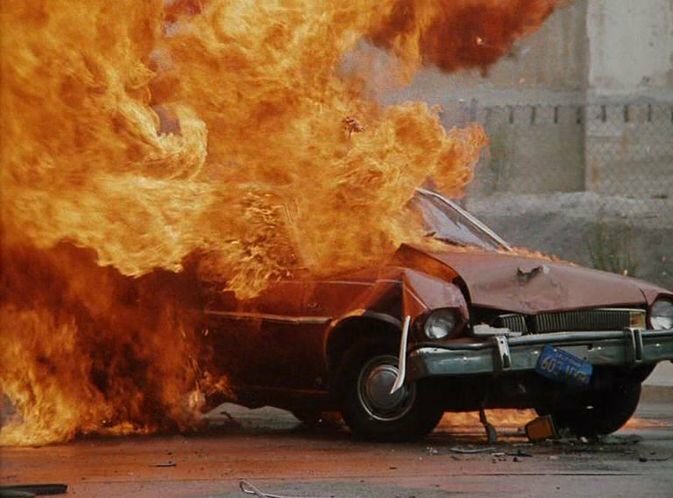 For whatever reason, it never picked up steam. First, there was the week we had to go put mulch around the church building, then the next week there was that move, then the next week… well, you get the picture. It is physically impossible to do anything not churchy on Saturdays. If there’s one overarching negative thing about Mormon culture, it’s judgment. Mormonism has a lot of rules, and so there’s a lot of room to judge people for breaking those rules. For example, if I go to church with a Dr. Pepper in my hand, I’ll be judged (by some LDS) for drinking caffeine. I’m also likely to be judged if my kid is dirty, if I come without my spouse, or if I don’t take the sacrament. In fact, this culture of nosiness and judgment causes folks to hide their sins and keep up a very good outward mask of righteousness. The Boring of Mundane, oops… The Book of Mormon is the most uninspiring piece of literature on the planet. I’m sorry to say it, but it’s true. There’s a reason most members can’t make it past 2 Nephi. But sadly, Mormons have to pretend that they like it because it just so happens to be the keystone of their religion. Everything in the Mormon Church is in King James English. The Bible, the Book of Mormon, and every prayer ever said. Unless you’re a huge fan of Shakespeare, this one will drive you nuts! The men and women in the church are generally assigned 2-4 families that they are assigned to go visit once a month. Not only is this extremely awkward, it often doubles as a way for the bishop to spy on families in the ward. 12) Where does the Money Go? The LDS Church requires members to pay 10% of their incomes and contribute a fast offering once a month. There is, however, no public record of what the church uses that money for. One place the church does not use its money for is janitors. Members are required to “volunteer” to clean the church on assigned days. It’s never fun, because most families skip out, leaving the faithful to do an unfair portion of the work. I like children, I really do. But when there are 100 of them in the pews, with no child care provided, it can turn into quite the choir of loud cries and babbling. Mormons believe they have a duty to bring spirit children into righteous homes, and it can make church seem like a giant day care. Not only that but if you don’t have enough kids, it’s one of those things you could end up judged for. 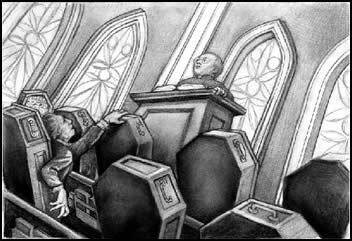 In Mormonism, you don’t get to pick how you’re going to serve in the congregation, it’s chosen for you. You could be given the calling that you absolutely dread (like when I was placed over the ward’s thirty 2-year olds) and you have to do it anyway because it was “inspired”. If you’re bad at it, it’s just a sign that God wants you to grow in that area in your life. Right? Then when you finally get into leadership, you find out that people are chosen for callings out of necessity. What, we need a pianist? Okay, the next person who moves in who can tickle the ivories is our person! In the religion of agency, everything is chosen for you. You don’t have to think, because what the prophet says is law. You are told where to go to church and when. Even what underwear you put on is chosen for you. Sure, you get to choose between different “styles” of the same brand of underwear, and what seat you take in your required church time, but that’s just the illusion of agency! The 2nd Article of faith says, “We believe that a man will be punished for their own sins, and not for Adam’s transgression.” Yet the LDS church punishes children due to their parent’s choices, by not allowing them to be baptized, and gain a stronger relationship with God. By so doing, they claim they are protecting the children…. better than God, apparently. Utah, home of the religion of happiness, has an extremely high suicide rate. Since the church has a no-nonsense stance on keeping the commandments and makes it seem like the easiest thing in the world, everyone who doesn’t measure up finds themselves questioning their self-worth and abilities. The Word of Wisdom, according to Doctrine & Covenants 89:2 is not even a commandment, yet the LDS Church has made it a requirement for entering the temple, and therefore to enter heaven. However, Jesus said in Matthew 15:11 that what comes out of a man defiles him, not what goes in. Leaving Mormonism means the freedom to drink tea, caffeine, even a beer once in a while. I saved the best for last even though He should be the #1 reason. Jesus was not mentioned in the article that inspired this one, and that’s probably because in Mormon culture Jesus is often left out. I’ve been through entire Sunday worships were the only time Jesus is mentioned is at the close of a prayer! I’ve even seen investigators come to church and ask, “Why doesn’t your church talk about Jesus?” The truth is Jesus deserves to be emphasized, not hidden behind covenants and ordinances!